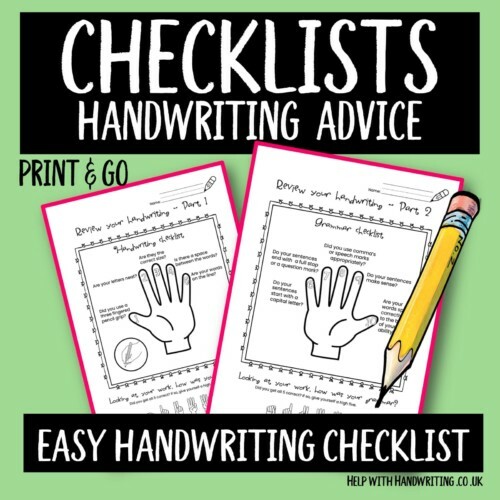 Use these easy to follow checklists to help your child review their own handwriting. Here you will find a 10 step guide helping your child review their writing. The first 5 steps are linked to specific handwriting skills and the last 5 steps help a child complete a grammar check on their work.